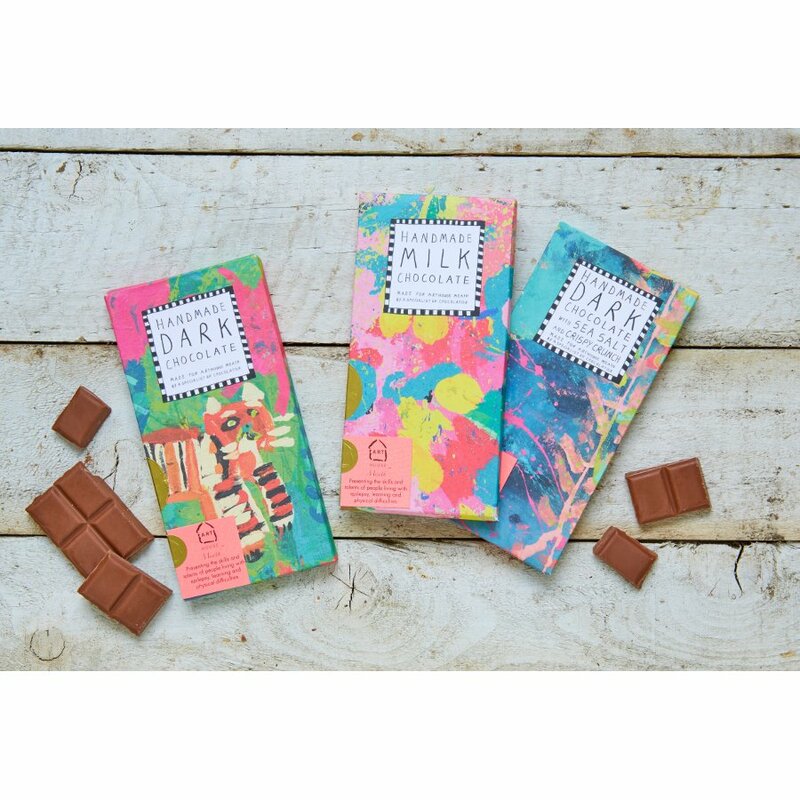 This gorgeously packaged milk chocolate from Arthouse Meath has been handmade in the UK by specialise chocolatiers. 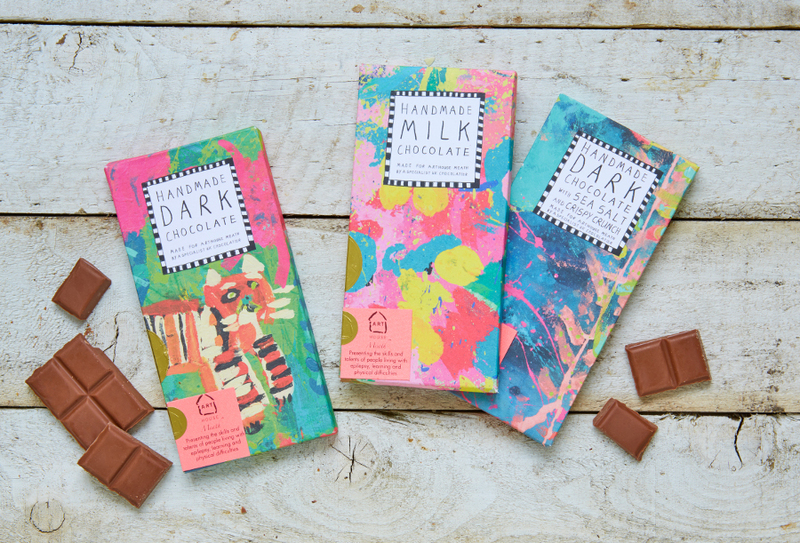 The abstract print on the packaging has been designed by a group of Arthouse Meath artists who suffer from severe epilepsy, learning and physical difficulties. Arthouse Meath offers these adult a stable and safe working environment, whilst also running the Meath Epilepsy Charity that houses and supports adults over 19 with epilepsy and learning difficulties. 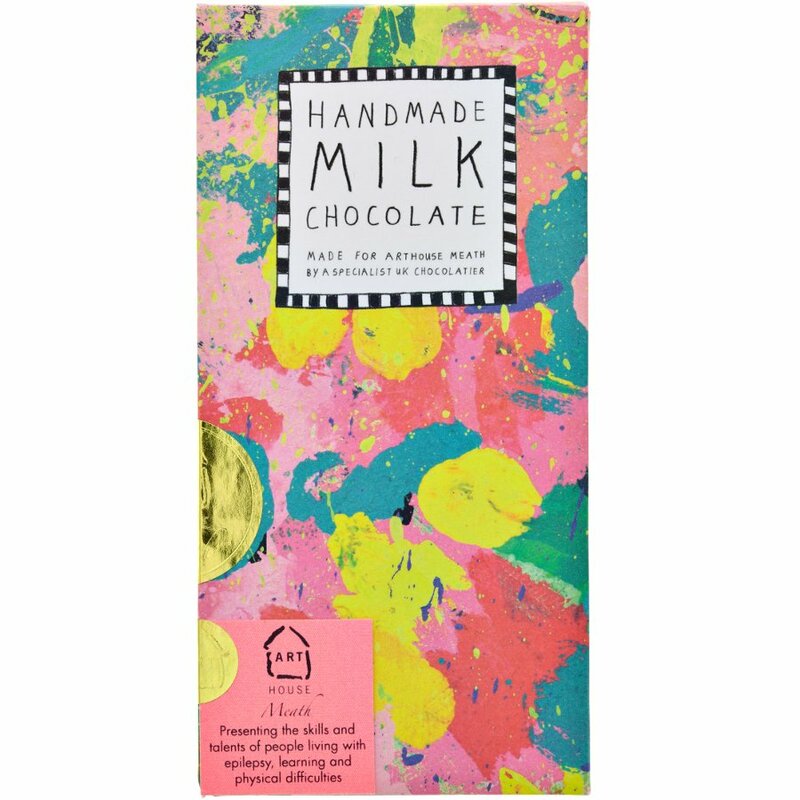 The Arthouse Meath Abstract Milk Chocolate - 100g product ethics are indicated below. To learn more about these product ethics and to see related products, follow the links below. 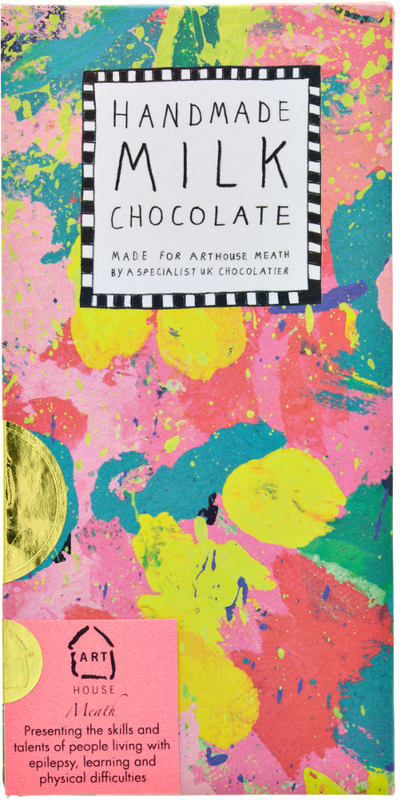 There are currently no questions to display about Arthouse Meath Abstract Milk Chocolate - 100g.